OnePlus is readying a follow up to 2014's OnePlus One, a phone that's supposed to "surprise people" and once again offer top-end specs at a low price. 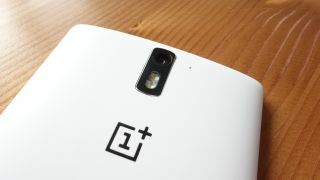 New rumours, this time from GizmoChina, suggest the OnePlus Two will be coming with a 64-bit Qualcomm Snapdragon 810 chipset and is set to look quite similar to the Oppo Find 7. The OnePlus One already looked quite similar to the Oppo Find 7 and a lot of the companies executives came directly from Oppo, so it isn't a big surprise the phone is set to look like it again. One of the more interesting additions is a "laser focus fingerprint identification system" embedded inside the home button. Adding in more complicated hardware is sure to drive the price up higher than the original handset. OnePlus has yet to make it clear whether the second handset will be available under an invite system. The controversial process of releasing the OnePlus One made some consumers angry but OnePlus is now in a better position to make the handset more widely available from day one. We do know the OnePlus Two will be released in the third quarter of this year – but right now that feels like a long time away. Here's everything we want to see in the OnePlus Two.